← [OPINION] Tax On Firearms: An Idea Worth Pursuing? Syracuse’s NCAA basketball tournament run is over. Paschal Chukwu will not win a national title this year. But Westport is home to someone who did just win a championship. And — like the 7-2 Orange star — this athlete also flies under Westport’s sports radar. 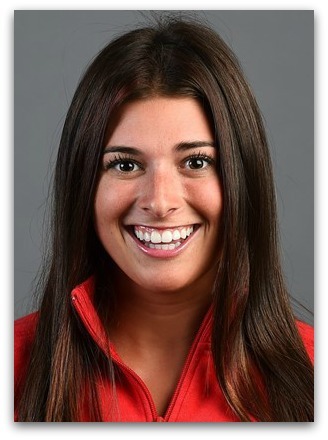 Rebecca Russo is a member of the Metropolitan Riveters. Yesterday the Newark-based team edged the Buffalo Beauts 1-0. The shutout — over the defending champions — earns the Riveters the Isobel Cup. Which, as the sold-out crowd at the Barnabas Health Hockey House knows, is the National Women’s Hockey League equivalent of the Stanley Cup. Growing up in Westport, Russo played boys youth hockey in the Mid-Fairfield program until she was 14. She went to Bedford Middle School, then headed to Berkshire School. The private school just over the Massachusetts border has something Staples does not: 2 on-campus rinks, and a history of sending female players to college programs. But that wasn’t good enough. She transferred to Shattuck-Saint Mary’s School in Minnesota, one of the top prep hockey programs in the country, for her junior and senior years. That first year, she won a national championship. Her 2nd season, she led the team in goals. At Boston University, her D-I team won 3 national titles. She majored in communications, concentrating in media studies. Her goal was — and still is — to become a sports broadcaster. Russo joined the NWHL last season, and was selected for the All-Star game. At that event in Pittsburgh, she won the Fastest Skater competition. Now she’s got a league championship. Of course, the NWHL is not the NHL. Players need day jobs. Russo — now 23 years old — works for MLB/NHL Network, in media and productions. And — also unlike the NHL — players don’t get to bring the champion cup to their hometowns. So you won’t see the Isobel Cup in Westport. But if you see Rebecca Russo, tell her she made us all proud. 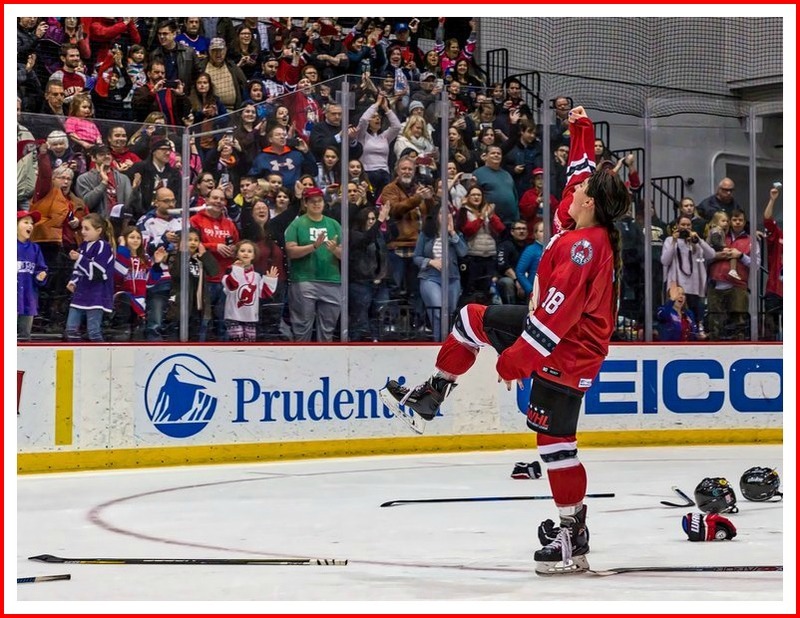 This entry was posted in Education, People, Sports and tagged Isobel Cup, Metropolitan Riveters, National Women's Hockey League, Rebecca Russo. Bookmark the permalink.